As terms such as BRIC and Emerging Markets become common parlance in business circles, and outsourcing highlights software capabilities outside of EU & US, many open source projects are reflecting on developer participation from these geos, particularly India and China. While participation in FOSS is world-wide, the development community is not truly or representatively global. Why should it be? How can it be? In this talk, I will discuss the opportunity, benefits, issues and problems from the perspective of the project, the community as well as potential new contributors. The talk will summarize some of the economic, motivational and cultural aspects and highlight some ideas for broadening the community. 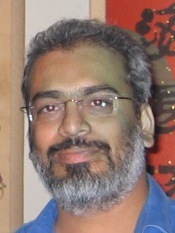 Dhananjay Keskar is a software architect and project lead at Intel Corporation in Oregon, USA. He and his team members in Beijing are currently working on OpenOffice.org improvements. He is also working on ODF standardization and adoption. In his prior life at Intel Labs, he played with information retrieval, personalization and ubiquitous computing technologies, prototyping new applications and usage mechanisms.